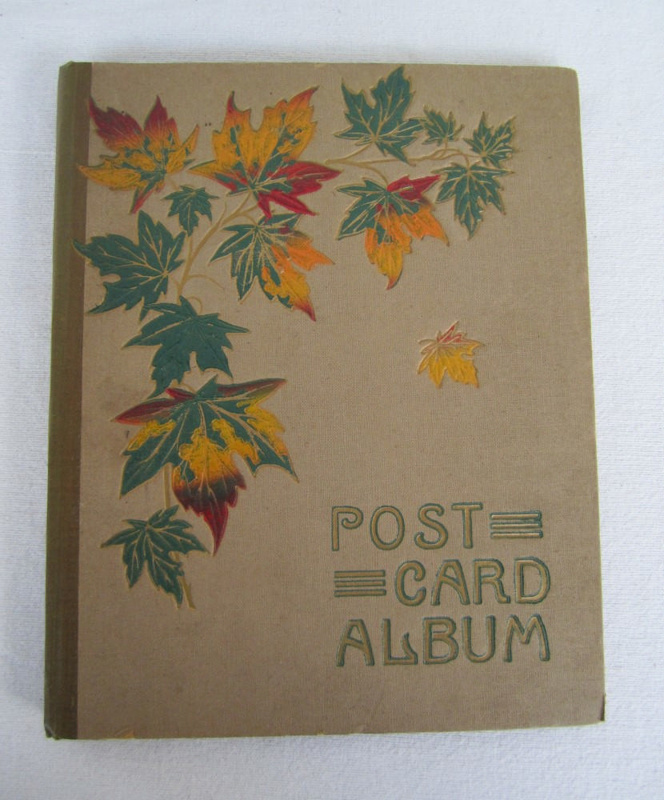 Postcard album has a light brown canvas cover with gold lettering gold stripes and an autumn leaf pattern, and brown binding on the spine. The cards inside are from trips, birthdays, Christmas etc. Original postcards replaced with reproductions Oct 2014. 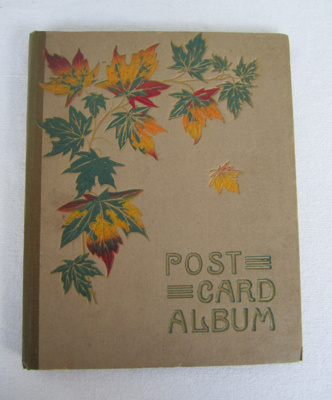 In gold lettering on front cover: "POST / CARD / ALBUM".